William H. Frazier Elementary is becoming a Monarch Butterfly sanctuary. The school is starting a project to attract and protect this species of butterflies. Watch our La Paloma and Fallbrook STEM Academy Principal's talk about our amazing schools. 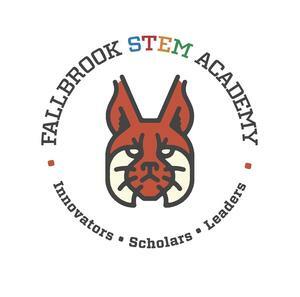 been re-named Fallbrook STEM Academy. Fallbrook Union Elementary School District is rapidly continuing its construction process of their new school campus for San Onofre School. The school is due to be completed in the 1st quarter of 2019. The Board of Education recognizes students generally must attend school in the district where their parents/guardians reside, although the Board of Education recognizes justifiable reasons for occasional interdistrict transfers. Upon request, the Superintendent or designee may accept students from another district and may also allow students who live within the district to attend out-of-district schools, on a case-by-case basis. San Onofre Elementary school has been recognized as a California Distinguished School representing the Fallbrook Union Elementary School District. Today, the San Diego County Office of Education informed our district about a general threat made via email against school districts in at least 46 states. In San Diego County, a coordinated law enforcement effort is underway to investigate the threat. With the goal of heightening their interest in scientific fields FUESD’s vision is to inspire curiosity and interest among girls to help generate long-term interest in STEM by encouraging creative thinking and innovation and empowering them to dream big, explore their interests, and passionately pursue non-traditional careers and the opportunities that await them.